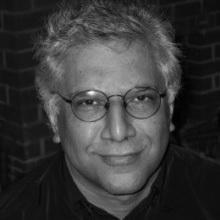 Vijay Seshadri, author of two celebrated books of poems, Wild Kingdom and The Long Meadow, was born in India in 1954, and came to live in America at age five. He received the 2003 James Laughlin Award of the Academy of American Poets for The Long Meadow. A distinguished essayist, he currently lives in Brooklyn, New York and serves as director of the Writing Program in Creative Non-Fiction at Sarah Lawrence College in New York. Reprinted from THE LONG MEADOW (Greywolf Press: 2004) by permission of the author.